Booking available on Airbnb, by E-mail or directly in City of Habana. We are flexible. If an apartment is taken we will inform you if there are other availabilities or we may help you to find another host. From CHF 45 to CHF 57 depending on the Season. For special arrangements please send Us an e-mail or leave a message on WhatsApp. 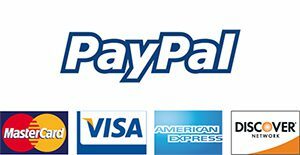 If you don’t wish to use Booking or Airbnb, you may pay with our PayPal Account (we ask 30% down-payment).